News by Matt C. and Matt S.
I played School Girl/Zombie Hunter at Tokyo Game Show last year and had a really good time with it. It’s a trashy B-grade exploitation game in the finest sense of the phrase, being silly and fun and nonsense all at once. It’s set in the same universe as Onechanbara, and I distinctly remember thinking to myself that there’s no way in heck this game will ever be released in the west. Of course Aksys Games, being the wonderful company that it is, decided to prove me wrong there, and School Girl/Zombie Hunter now has a release date for the West: November 17. In addition to being a crazy shooter where you’ll use bits of your character’s clothing to lure zombies into traps or escape from them, the game features multiplayer for up to five people and six different kinds of levels. And lots of underwear. Oh so much underwear. A key point in this game is its “extensive wardrobe of fashionable underwear.” Will it be a game of the year contender? Probably not. Will it be something that will have you roaring in laughter as you play? You better believe it. Assassin’s Creed is one of the best game franchises around when it comes to recreating history, and Ubisoft is planning to take that to the next level with the forthcoming Assassin’s Creed Origins. A new Discovery Tour mode will allow players to travel through the game’s vision of ancient Egypt without having to worry about being attacked by enemies, so they can just explore at their leisure and take in the sights. That’s not all; Discovery Tour also includes a range of interactive tours curated by historians and Egyptologists. Each tour focuses on a different topic, including Cleopatra, the Great Pyramids, and mummification. Earlier Assassin’s Creed games included a wealth of historical information too, but it was tucked away in the Animus Database. Now, with this “living museum,” all that knowledge will be available to players in a more dynamic, interactive, and captivating way. 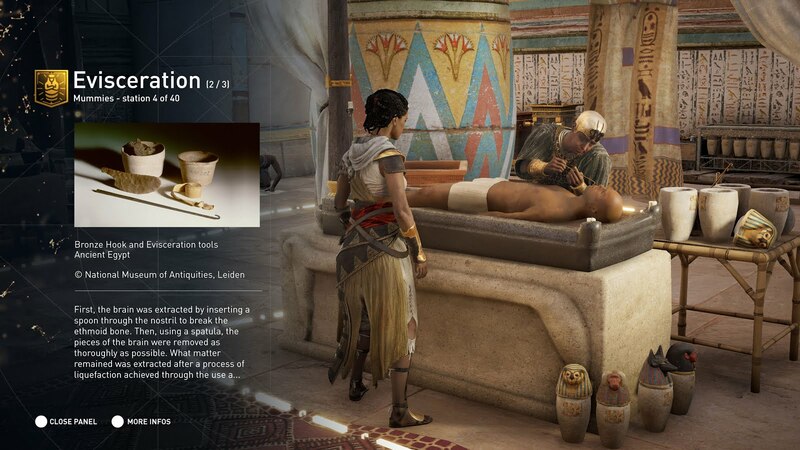 “I hope that teachers will seize this opportunity to present that to their students, so they can learn with this interactive medium,” says Jean Guesdon, creative director for Assassin’s Creed Origins. “We spent years recreating Ancient Egypt, documenting ourselves, validating the content with historians, with consultants, and we feel that many more people than just the players can benefit from that.” Sadly, Discovery Mode won’t be part of Origins at launch this year; rather, it will be released as a free update in early 2018. Final Fantasy XIV just keeps getting bigger and better, and the upcoming Patch 4.1 – entitled “The Legend Returns” – is one of the most exciting yet for yours truly. Why? Because it gives players a whole lot of new Ivalice stuff to see and do, and Ivalice is the setting for Final Fantasy XII (and Tactics), my favourite game in the whole series. New Housing Area “Shirogane” – Whether players are looking to purchase their first estate, or they are a current estate owner planning to utilize the new relocation feature, adventurers are eagerly looking forward to moving into this new Far Eastern themed housing area. New PvP Mode – Rival Wings – Two teams of 24 players will go head to head in this new PvP mode, in which they will attempt to assault and destroy the opposing team’s tower. Players will also be able to pilot goblin creations such as Oppressor and Cruise Chaser to engage the opposing team in fierce combat. Battle Adjustments – Yoshida touched on a sampling of changes and adjustments to job actions and spells. System Enhancements – Introduction of a cross-world Friends list and /tell communication, updates to HUD customization, job gauge displays, cross-world alliances and custom PvP matches, and Party Finder adjustments provide players with an even more personalized gameplay experience. Additionally, there’s going to be a re-run of the excellent cross-collaboration between Final Fantasy and Yo-Kai watch, for Yo-Kai themed weapons, minions and mounts. 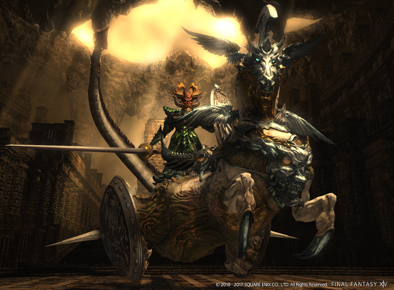 So renew that Final Fantasy XIV subscription – there’s a lot of playing to get done! Not long ago, Suehiro Hidetaka (or Swery, as he’s better known) unveiled The Good Life, a “debt repayment life simulation RPG” set in a sleepy English village where everyone turns into a cat at night. Some people like dogs better than cats for some reason, and they’ll be pleased to know that they’re not missing out, because the game is being released in two versions, Pokemon style, called The Good Life -CATS- and The Good Life -DOGS-. The two versions will be more or less the same, though certain features are unique. In The Good Life -CATS- for example, you can climb rooftops and slink through narrow spaces, while The Good Life -DOGS- lets you dig and follow scent trails. Some items will be available in only one version or the other, and the story – though mostly the same – will have minor variations. Making the differences purely superficial would have been fine, but I really like the idea of having slightly different experiences depending on which version you buy, even if that means I’ll end up buying both. Regardless of the version, The Good Life follows Naomi, a photographer from New York who finds herself stuck in the rural English town of Rainy Woods, buried under the weight of a massive debt. The only way for her to get out is to help out the locals, look for scoops, take and sell photos, and try to figure out the town’s mysteries. (Oh, and there’s a murder to solve, too. This is a Swery game, after all.) The Good Life is currently raising funds (via pledges and investors) on Fig, and is due to release on PC and PlayStation 4 in 2019.